Cristiano Ronaldo could leave for PSG, says Guillem Balague Real Madrid star Cristiano Ronaldo could be spending his last season at Santiago Bernabeu. Real Madrid star Cristiano Ronaldo could be spending his last season at Santiago Bernabeu, according to SkySports pundit Guillem Balague. The Spanish expert revealed on SkySports that he is expecting the former Manchester Untied man to leave Real Madrid next summer. The three times Ballon d’Or star joined the Los Blancos in 2009 from Manchester United and has been the best player for the club. Balague added that French giants Paris Saints Germain are the side keeping tabs on him and could be sealing his move in the summer window next year. Despite of Ronaldo’s recent comments that he wants to end his career at Real Madrid, the Spanish football expert believe that he would be leaving. Former side Manchester United could also reignite their interest in resigning him. Balague added that Despite of reaching the age of 30, he is still capable of performing at the top level. 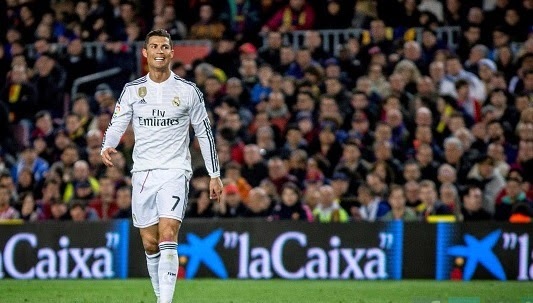 Ronaldo scored 48 goals in 35 La Liga games last season, he lifted European Golden Boot and Ballon d’Or. The Portuguese attacker has reached his peak form and its time to move on, PSG would be a good solution for him.